* The European Union has threatened legal action “again” against the Czech Republic, Hungary and Poland if they continue to refuse to accept migrants from Greece and Italy. These migrant quota demands will never end unless the EU is soundly defied and defeated today. ** Brussels continues their aggressive threats against Central Europe. Hungary and Poland are the main targets, but we would strongly advise the Czech Republic, Slovakia, Austria, Croatia, Slovenia and the other “Three Sea Initiative” nation states to strongly support both in Brussels. 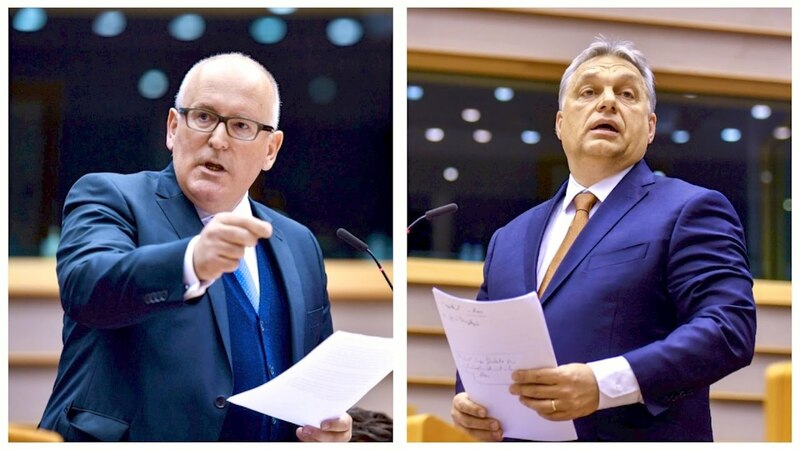 – Today, it is Hungary and Poland that find themselves under constant assault by the leaders of Brussels. Tomorrow, the EU will find others to target for resisting the migration demands of the far-left socialists of Brussels. This nonsense has to be challenged and confronted now. This is the battle and Brussels must be tamed and defeated today. If not, the EU will become even more emboldened to force their multicult manifesto on others in Central-Eastern Europe. The EU Core solution to the migrant crisis is a policy of unlimited migration and endless relocation quotas. This is what they refer to as “EU Solidarity”. Avramopoulos proclaimed that, “their infringement procedures remain ongoing,” and that “the Commission has the power to take things one step further” if nothing happens. The EU is in “desperation mode”. Brexit, Visegrad defiance and the recent elections in Austria have shaken them to the core. Brussels will only grow more aggressive with their demands. Their seats of power are at stake. The time has come for the leaders of Visegrad and the CEE nation states to push back. The bell has been rung. Let the battle begin, right here and right now! EU Commission and Greece using a calculator made in Turkey regarding migrant returns.